"Baseball action" game due out on August 2 in Japan. Bandai Namco has announced Pro Yakyuu Famista Evolution for Switch. The “baseball action” game will launch physically and digitally on August 2 in Japan for 6,100 yen. Super Famista Retro 2018 download code – A retro-style Famista game with the latest player data. Namco Stars Four-Player Set download code – Includes Yamamomo, Emushiyu, Tanahashi, and Famista-kun. The ultra definitive edition baseball game appears on Nintendo Switch! Featuring more than 1,000 players, much higher than previous entries! 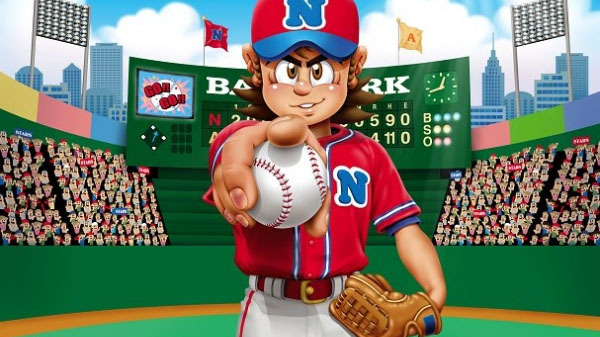 In addition to Nippon Professional Baseball players, selections from the Route Inn BC League, Shikoku Island League Plus, Women’s Softball League, and Tokyo Big6 team will appear for the first time. The Nippon Professional Baseball Golden Players Club and Japan Women’s Baseball League will also return from previous games. Create your dream team! Game modes have also evolved. The series’ popular Dream Penant and climactic online battles, as well as the “Famista Fantasy” and “Board de Famista” modes where you develop an original player are all included. New action elements have also been added. Swing the Joy-Con and hit the ball! Or throw it! Come see Famista‘s 32nd year evolution!